Russian Kremlin-controlled television has launched a new weekly show dedicated to President Vladimir Putin in an apparent attempt to stem a major fall in his approval ratings. 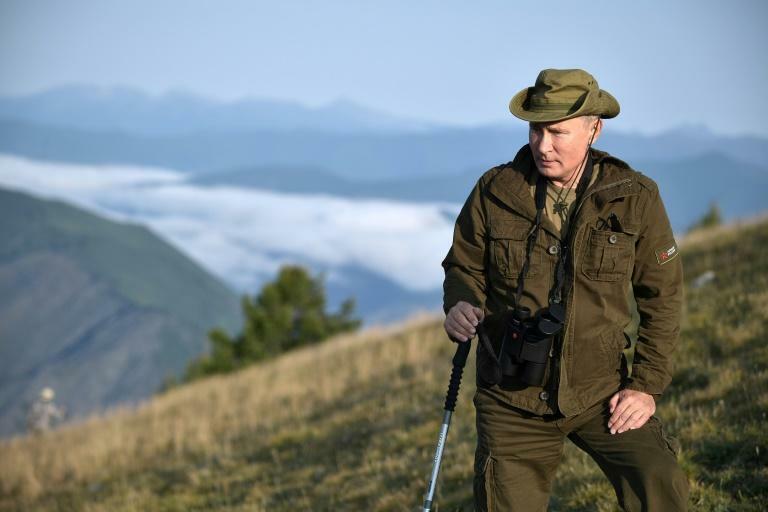 The first episode, which aired Sunday on the Rossiya 1 channel, showed the long-serving leader picking mushrooms in Siberia and in meetings with miners and schoolchildren. The president already dominates state news bulletins but Rossiya 1's hour-long show "Moscow. Kremlin. Putin" provides a new format to showcase his activities. "This is the project of (state TV company) VGTRK, not the Kremlin's," Putin's spokesman Dmitry Peskov said Monday. "It is important for us that information about the president and his work schedule is shown correctly and without distortion," he said. Peskov added that Putin himself does not plan to take part in the programme. But Peskov did take part in the first episode, interviewed by pro-Kremlin presenter Vladimir Solovyev, and praised Putin's personal and professional achievements. "Putin not only likes children, he likes people in general. He's a very human person," the spokesman told viewers. Much of the programme hailed Putin's stance on the controversial pension reform, Russia's top news story for weeks. Last week Putin proposed measures to soften the reform in a rare televised address -- suggesting raising the state pension for women by five years instead of eight -- but he stuck to the overall government plan. Peskov told the programme Putin took the decision to address the nation "momentarily" and "literally the next day we recorded it". "He worked on it himself, correcting things until the last minute." A government official on the show told viewers that Putin had "taken responsibility for future generations". On Sunday thousands of people across Russia protested the reform despite Putin's announcement of several concessions. Putin, who had vowed not to raise the pension age, saw public trust in his presidency fall to 64 percent last month from 80 percent in May, according to VTsIOM state pollster.